Digital documentation technologies combined with innovative analytical techniques and digital tools can be an effective strategy supporting multidisciplinary documentation and modelling aimed at conservation, enhancement and preservation of Cultural Heritage. New technologies and digital devices should play an important innovative role to understand, access, enhance and preserve Cultural Heritage. In this framework, the ongoing project INCEPTION Inclusive Cultural Heritage in Europe through 3D semantic modelling – funded by the European Commission within the Programme Horizon 2020 – proposes a workflow aimed at the achievements of efficient 3D digitization methods, post-processing tools for an enriched semantic modelling, web-based solutions and applications to ensure a wide access to experts and non-experts. The implementation of data collection processes and the development of semantically enriched 3D models is an effective way to enhance the dialogue between ICT technologies, different Cultural Heritage users and different disciplines, both social and technical. Moreover, INCEPTION deals with complex heritage architectures and sites; in order to manage this complexity, a common protocol for data capturing has been developed, considering the uniqueness of each heritage site, accuracy and reliability, additional data and semantic proprieties to be recorded for different heritage applications. The project is under development by a consortium of fourteen partners from ten European countries led by the Department of Architecture of the University of Ferrara. Academic partners of the Consortium, in addition to the Department of Architecture of the University of Ferrara, include the University of Ljubljana (Slovenia), the National Technical University of Athens (Greece), the Cyprus University of Technology (Cyprus), the University of Zagreb (Croatia), the research centers Consorzio Futuro in Ricerca (Italy) and Cartif (Spain). The clustering of small medium enterprises includes DEMO Consultants BV (The Netherlands), 3L Architects (Germany), Nemoris (Italy), RDF (Bulgaria), 13BIS Consulting (France), Z + F (Germany), Vision and Business Consultants (Greece). 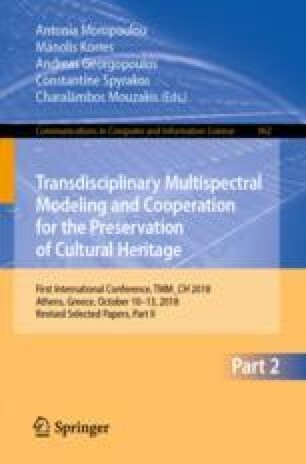 The INCEPTION project has been applied under the Work Programme Europe in a changing world – inclusive, innovative and reflective Societies (Call - Reflective Societies: Cultural Heritage and European Identities, Reflective-7-2014, Advanced 3D modelling for accessing and understanding European cultural assets). This research project has received funding from the European Union’s H2020 Framework Programme for research and innovation under Grant agreement no. 665220.